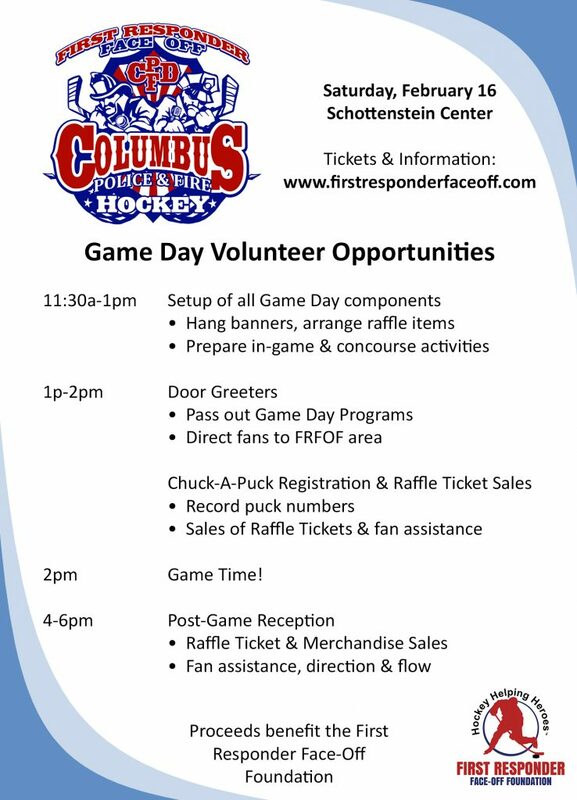 Game day volunteers are always needed and very much appreciated! Volunteers will receive two tickets to the game as well as buffet passes and a special commemorative token of our appreciation. View all opportunities below to sign-up and register. Once submitted you will receive a confirmation email from [email protected] We will be in further contact on February 4 with details of where to report, etc. Please sign up for the components that you are available for. If you are available for the entire event, you will need to sign up for all five components. Thank you so much! Game Day Setup #1: Tracey B. Door Greeters with Game Day Programs #1: Lynn H.
Chuck-A-Puck Registration & Raffle Ticket Sales #1: Jessica P.
Chuck-A-Puck on-ice Retrieval Crew #1: Heather F.
Post-Game Reception #1: Ryan J.